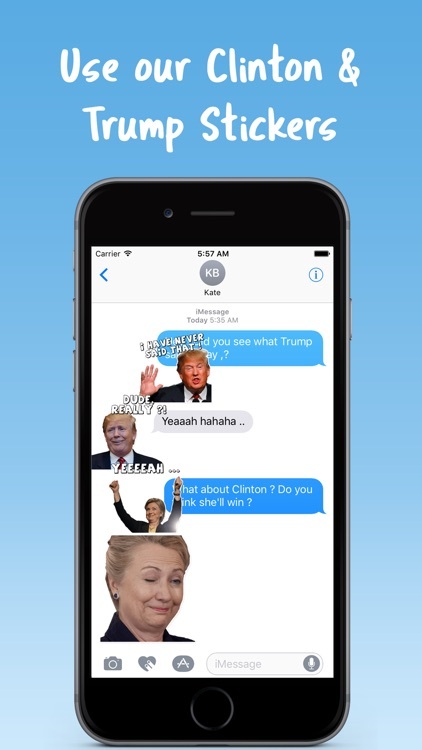 The Clinton vs. Trump Emoji Stickers for iMessage is here ! 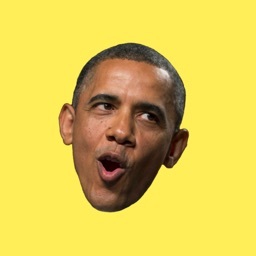 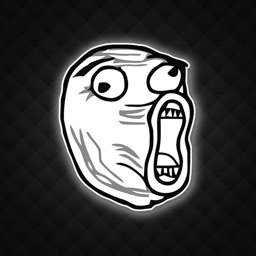 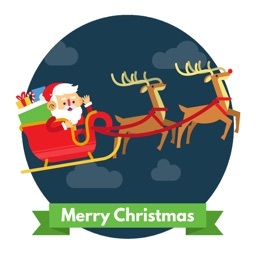 Send your friends funny presidential stickers Moji. 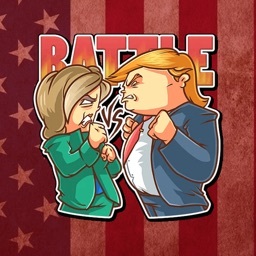 Hillary Clinton and Donald Trump face to face in funny and adorable stickers. 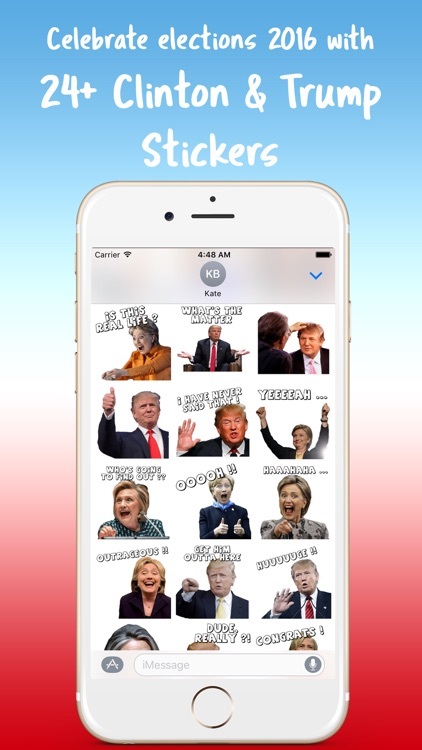 This pack will inspire you to vote and choose the next U.S president 2016. 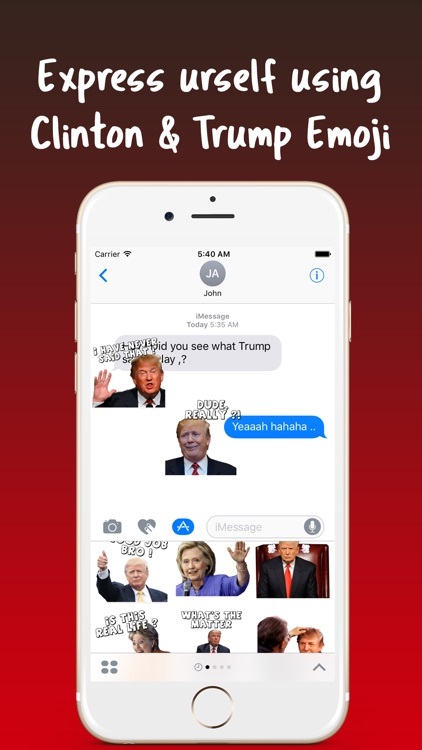 Add more emotions to your text. 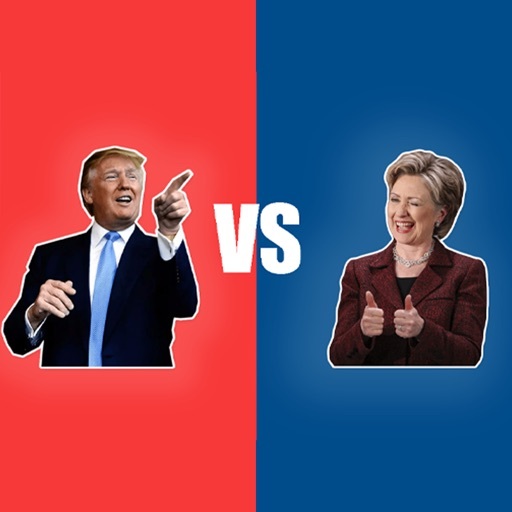 Share your presidential vote with your friends.